Laundry doesn’t normally sound like a good thing. But in Steamboat Springs, CO it’s something that is not so bad. 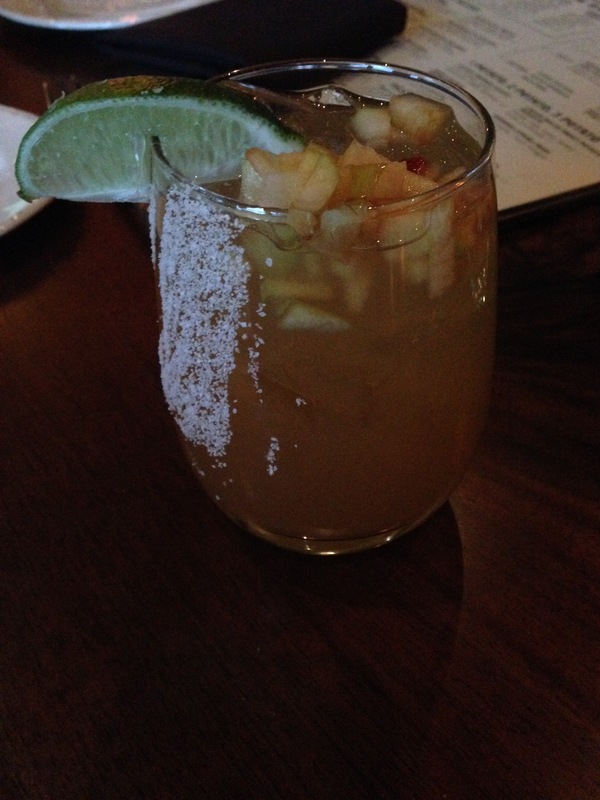 Visited Laundry Kitchen & Cocktails one evening to check out the latter part of their name. We arrived not long after they opened and (nonetheless) had to wait awhile for a couple seats at the bar. Fortunately that gave us some time to pour over the menu. So, when we were able to snag some seats, we were ready to place our orders. Both were amazing. So fresh, so much flavor. Definitely unique. One of the best parts was watching the bartender make them. One of those seasoned guys who can make any and everything and has a great time doing it. We would have loved to stick around for longer and even order some food, but had to get back to the house for dinner. Will definitely head back there for another round and to check out the dinner menu. Cheers! There are some new restaurants/bars opening in the area and I was lucky enough to check one out courtesy of a client. 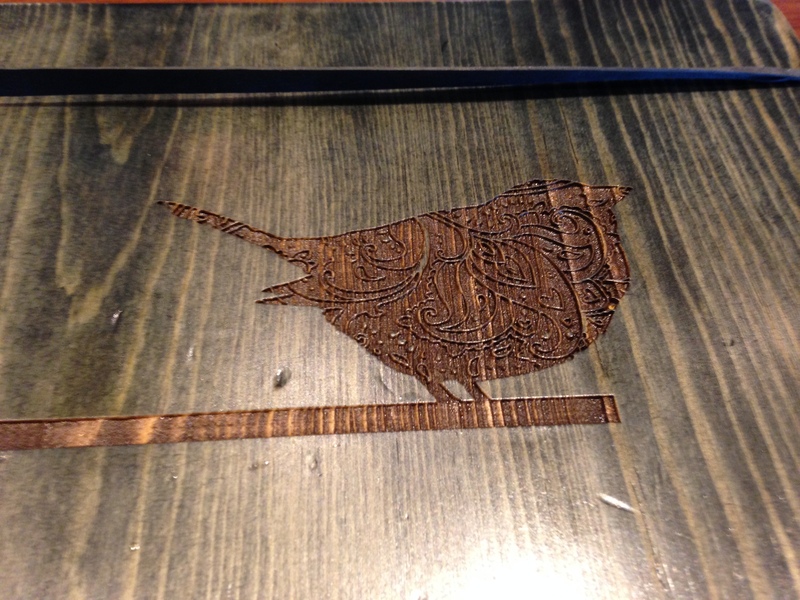 We visited City Perch in North Bethesda/Rockville, MD at Pike & Rose (outside of DC). Quite the diverse menu, from drinks to food. With several of us there, we covered the menu quite well. 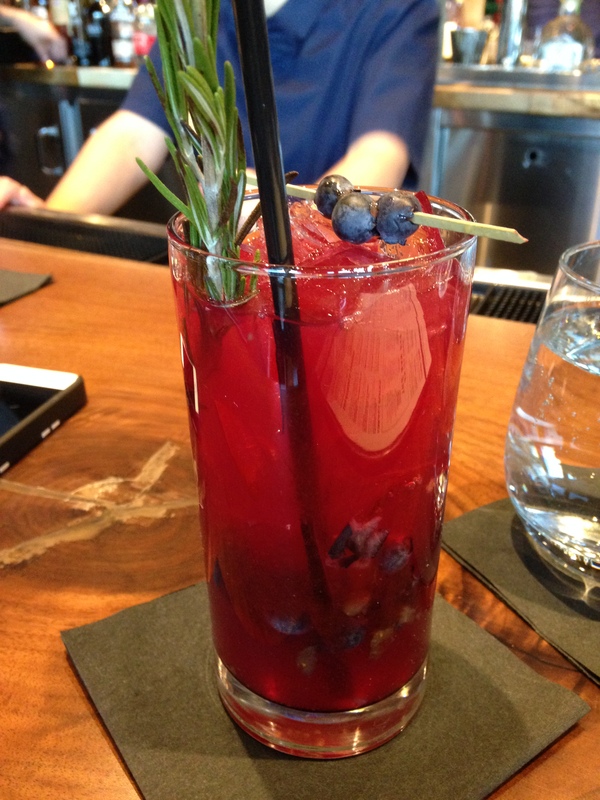 I started with the Montgomery Blues — Greenbrier Small Batch Gin, Blueberries, Rosemary, Jack Rudy Tonic. Delicious and the fresh rosemary was a nice addition. 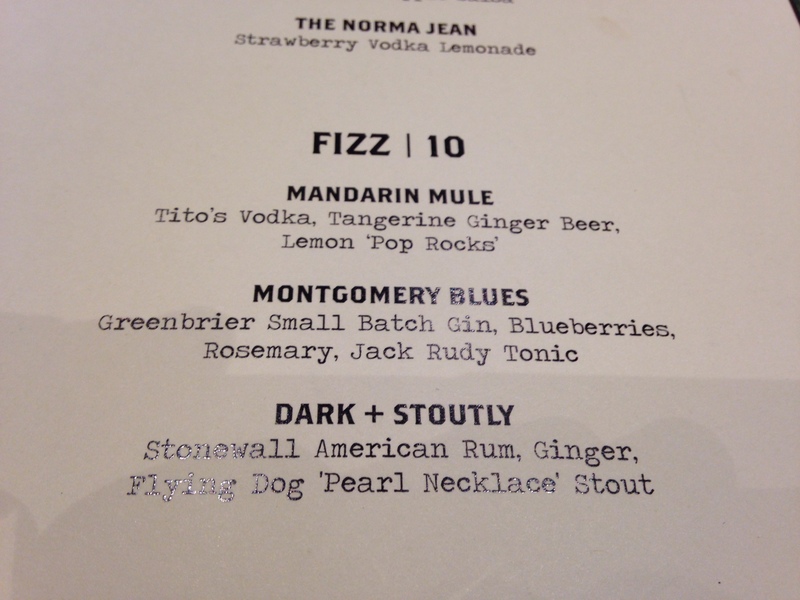 Some of the others at the table were Dark + Stoutly — Stonewall American Rum, Ginger, Flying Dog ‘Pearl Necklace’ Stout. 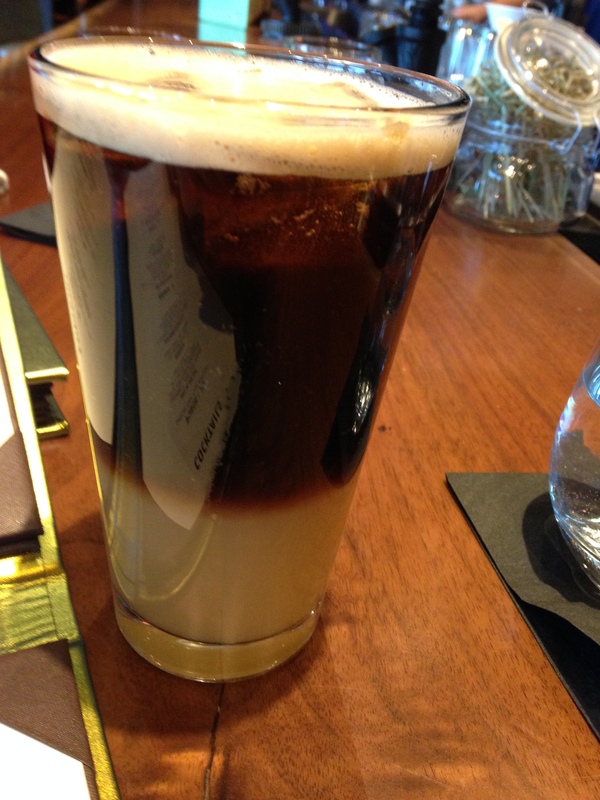 It was very similar to a black & tan. One of them enjoying it stirred it to see if it would combine but it separated again. 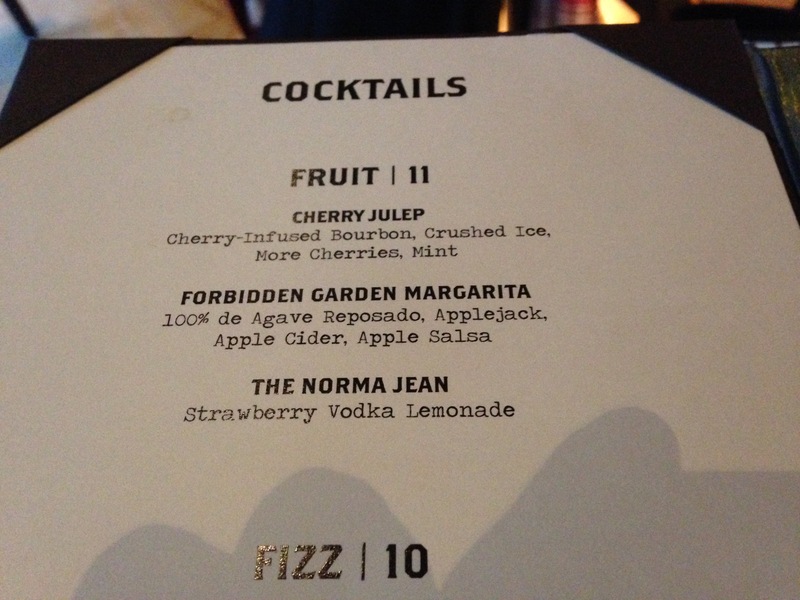 Another at the bar was the Forbidden Garden Margarita — 100% Garden Margarita — 100% de Agave Reposado Applejack, Apple Cider, Applejack. I tried some of that — very nice. Was there really alcohol in that? That is what can cause some problems. We also had some of the appetizers — olives, nuts, fries. Addictive. If you’re in the DC-area, totally check this place out.